We are still a bit under three months away from the introduction of the 10th anniversary iPhone model that has been dubbed the Apple iPhone 8. And while it would appear that Apple is still trying to decide where the heck to put the Touch ID button on the premium unit, there already is talk about a flexible printed circuit board that LG Innotek will mass produce in 2018, which could end up inside the Apple iPhone 9. A report out of Korea today says that LG will break ground on the facilities some time during the second half of this year, where its Flexible Printed Circuit Board will be made. Samsung has been the leader in the field with its Samsung Electro-Mechanics flexible boards. These were first implemented with the Samsung Galaxy S6 edge in 2015. A flexible OLED screen was employed by Samsung on that model, which required the use of the Flexible Printed Circuit Board. Apple is switching to a flexible OLED panel for the iPhone 8 this year, which means that the company has to use a Flexible Printed Circuit Board since regular PCBs won't work with the screen. Besides the rumor that Apple will use LG Innotek's FPCB next year, there is speculation that the 2018 iPhone models will feature screens weighing in at 5.28-inches and 6.46-inches. Both of those models will use OLED panels, according to the speculation. When it comes to hardware, Apple are on a level all by themselves. Btw why arent lg able to include these features on their phones like apple and samsung seeing that they produce components too. They have payment tech, facial recognition tech, oled tech, and so many others but they fail to put them inside their own phones or they're slow to do so. Hold on, this is just a rumor the iPhone 9 is more than another year away lets first get the iPhone 8 and I doubt LG would not first introduce the the on its own phones in order to out do its across town neighbor "Samsung" . 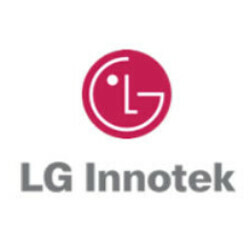 I seriously doubt LG will let its Innotek division give a competitor first grab at its tech. So Apple uses LG hardware and they are on a level all by themselves? you know some fanboys are on a totally different level right ? Well, don’t ya know that’s how Apple does what they do, right? Take something that somebody else recently invented, especially if they didn’t use it to full potential in the first shot, tweak it a little to make it marginally better, and then advertise it as the end-all-be-all in mobile phone technology… and then, with some clever revisionist oral history, make the original invention or inventor effectively disappear from the collective memory of their customers. For all intents and purposes, Apple’s followers simply do not remember what existed before the iPhone had it, because, for many Apple fans, essentially nothing existed before the iPhone had it. The LG KE850, or LG Prada, had a capacitive touchscreen, was announced a month or two before the iPhone was announced, and was released before the iPhone, but it is hardly remembered by anybody anymore. In some reviews it was called downright awful, so LG’s implementation of user interface was not complete, but Apple fans often think of the iPhone as being the first phone with a capacitive touchscreen… and so it is largely remembered that way because the iPhone was so successful. That, and in an ironic twist of fate, the Prada, actually a feature phone, was more expensive than the iPhone at the time, which was truly ridiculous. The Motorola Atrix 4G carried a fingerprint scanner on its back, all the way back in 2011. The iPhone did not pick up this feature until the iPhone 5s in 2013, and yet I constantly hear iPhone owners referring to the fingerprint scanner as an Apple invention, and how the world is a better place because of the iPhone’s fingerprint scanner. While I can certainly concede that Apple made it popular, and mostly did it right (except for the times when dog paws could be used to fake a fingerprint, and unlock the device… it happened, look it up), that does not amount to invention. In the end analysis, Apple has been the most successful company that there has ever been so far, and their followers claim the invention of so many things that started in the hands of others, but have now been appropriated by Apple, and their benefactors quietly erased from history. It will undoubtedly happen again with the iPhone 8 – many of the Apple fans will claim ever after that Apple invented the FPCB and the flexible OLED, even though they will have purchased these “Apple designed” resources from LG and Samsung, and Apple will be perfectly happy to have them believe that way. I foresee a day when Apple and the iPhone will still exist, and Android will be a distant memory. Perhaps we will have Google’s Fuschia, or some futuristic Windows replacement from Microsoft, but Android and Windows will both go the way of Symbian and BlackBerry OS… forgotten in the dust bin of history… and Apple will be able to claim invention of all the things that came from those ecosystems first, just because they could afford to do it better.